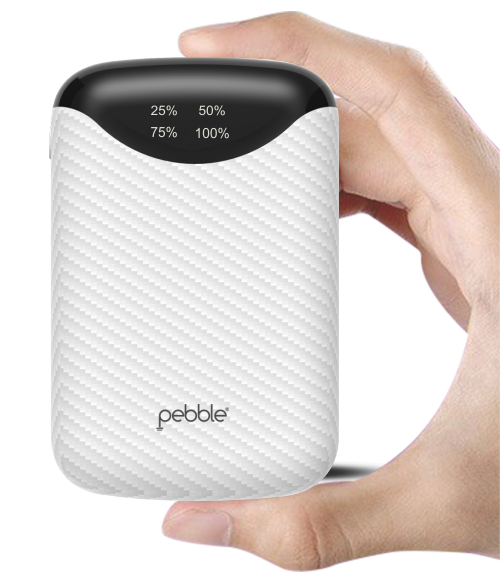 Fuel your device with a palm sized powerbank from Pebble.It's so compact , you won't believe it actually holds 10,000 mAh. It just weighs as little as an apple (250g) yet charges the iPhone 7 almost 2.5 times. Smaller than a deck of cards and as light as a baseball, Pebble Pico sets the new industry standard with its size-to-capacity ratio. It also comes with Digital display indicator which lets you know exactly how much power is left inside. 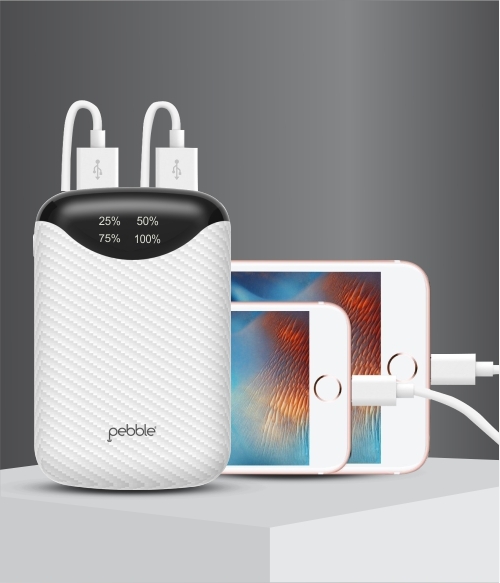 Quickly put life back into all your devices with Pebble Pico 10,000 mAh powerbank. It Offers high-speed, high-efficiency charging with upto 2.1A output with a conversion ratio of 65-70%. 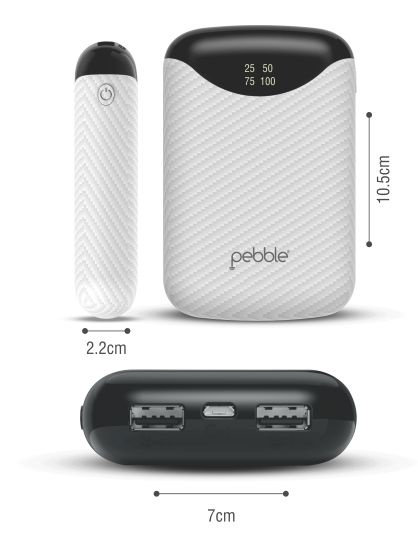 Pebble Pico also comes with dual-USB output with which you can charge two devices at same time. Pebble Pico is made from high quality material.  The core consists of an advanced high-voltage Lithium-Polymer battery that undergoes the same quality control as the iPhone's own battery. for quality you can trust and rely on, look no further.